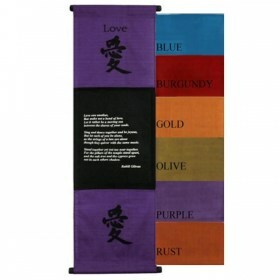 Love - Gibran - Large Affirmation banner, 120cm x 36cm in 6 assorted colours. Let it rather be a moving sea between shores of your souls. not in each others shadow.